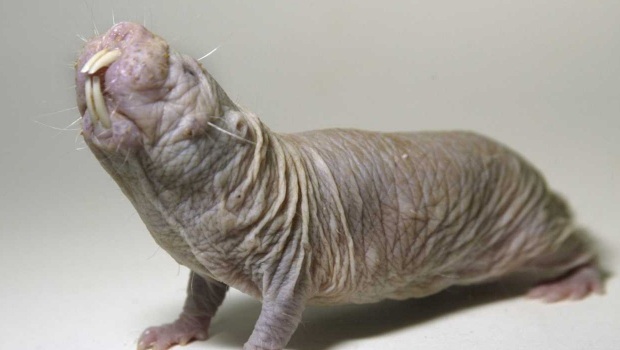 Naked diggers are an exception to many “rules” of the animal world: as it turned out, these rodents do not even age and with age they do not begin to die more often. Despite their modest appearance, the naked diggers, of course, refer to the “superheroes” of the animal kingdom. These rodents are known for their exceptional longevity, high sociality, resistance to cancer, lack of oxygen and many other dangerous factors. In an article published by the journal eLife, scientists disclose a new “superpower” of naked excavators: the ability to practically not grow old. Having reached adult age, people, and the overwhelming majority of other animals, die, subject to statistical dependence, which as early as the beginning of the XIX century. found Benjamin Gompertz. There is nothing unexpected in it: according to the distribution of Gompertz, the probability of death increases with the years. At us it grows almost logarithmically: the probability of death in 20 years is ten times lower than in 60. However, Rochelle Buffenstein and her colleagues from the company’s Calico Life Sciences company showed that the mortality of the naked excavators (Heterocephalus glaber) of this dependence do not do it. For decades of research, scientists collected statistics on a total of 3,299 diggers, finding that the probability of death in adults is about 0.0001 – regardless of the number of years lived. They are about six months old, and the average life in the laboratory is about six years – which, by the way, exceeds the life expectancy of all other rodents, especially in rodents of similar size. In this case, some individuals naked excavators safely survive to 30, even while maintaining the ability to mate. Previous story Who became a zombie in Russian legends?